and max_heap_table_size. If the table size grows over this limit, the table is written to disk. If the MEMORY table creation fails (perhaps because MEMORY does not support BLOB), the subquery is not cached.
. After 200 misses, the server checks the hit ratio for that particular subquery. If it is < 20%, it disables the cache for that subquery. If the hit rate is < 70% the table cannot be written to disk in case it exceeds the size limit. These numbers (200, 0.2, 0.7) are hardcoded and cannot be changed. But if you really want to test how MariaDB behaves with different parameters, you can change these constants in sql/sql_expression_cache.cc and recompile the server. Subquery materialization is another strategy that the optimizer can choose to execute a query. It might look similar, because some data from a subquery are written to a MEMORY table – but this is the only similarity. The purpose and implementation of subquery materialization is different. Despite the similarity in names, the MariaDB subquery cache is not a query cache for subqueries. These features are different, implemented for different purposes. Obviously, the subquery cache doesn’t have the scalability and performance problems of the query cache (global mutex, table invalidation). 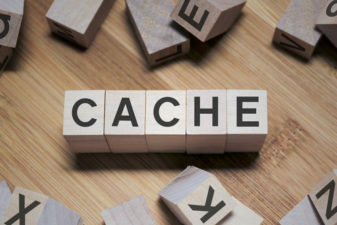 As mentioned, a subquery cache table only survives for the duration of a statement, so it should be considered an optimizer strategy. For example, in some cases you might use the subquery cache for a WHERE … NOT IN subquery, but not for the WHERE … IN version, because the optimizer prefers to rewrite it as a JOIN.